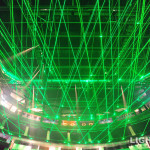 Lighting designer Steven Douglas masterfully controlled over 1500 Watts of Lightwave Lasers for the grand opening of the T-Mobile Arena in Las Vegas with The Killers, Wayne Newton, Blue Man Group, Cirque du Soleil and more. 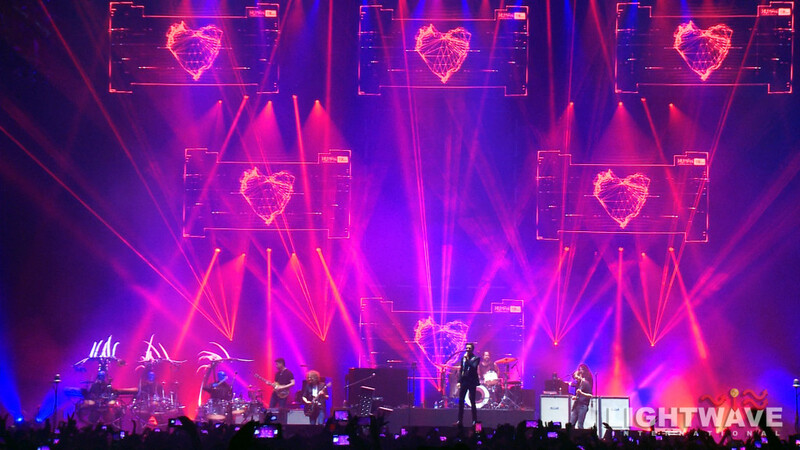 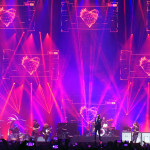 The Killers returned to their hometown of Las Vegas to help christen the town’s latest glittering desert jewel, MGM Resorts’ T-Mobile Arena. 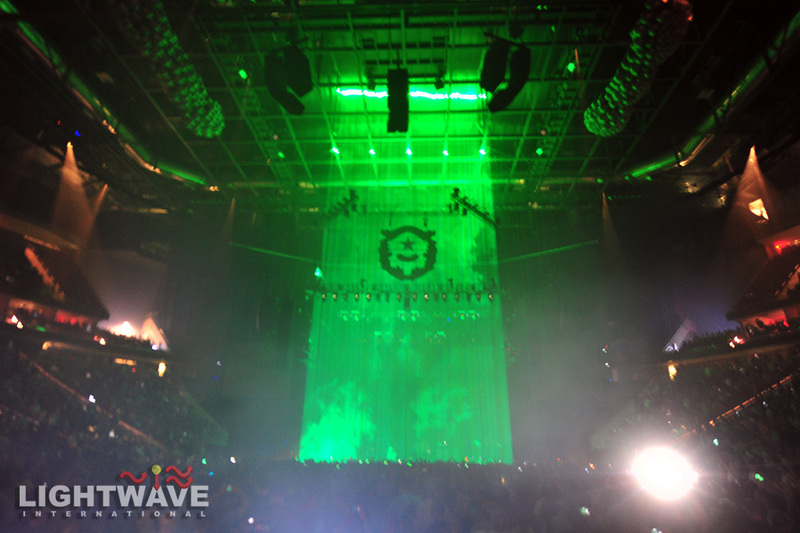 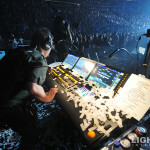 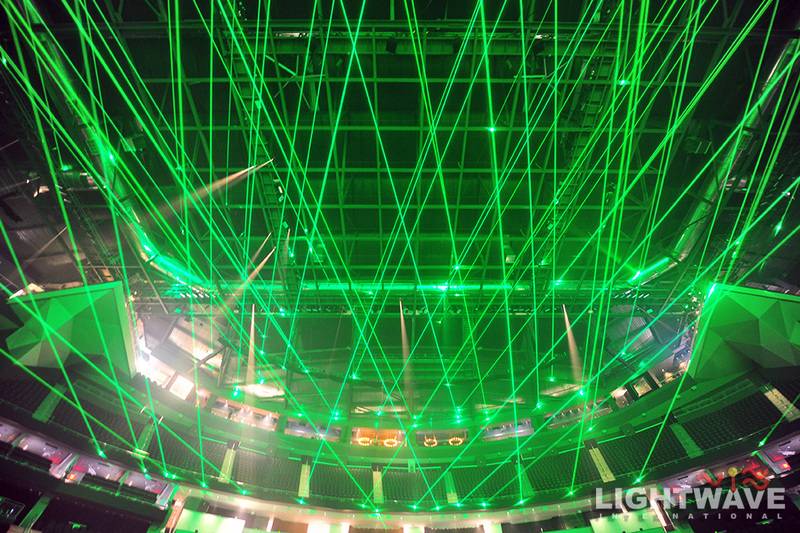 Lighting designer Steven Douglas masterfully controlled over 1500 Watts of Lightwave Lasers for the grand opening of the arena with The Killers, Wayne Newton, Blue Man Group, Cirque du Soleil and more. 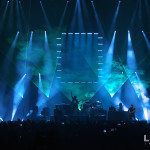 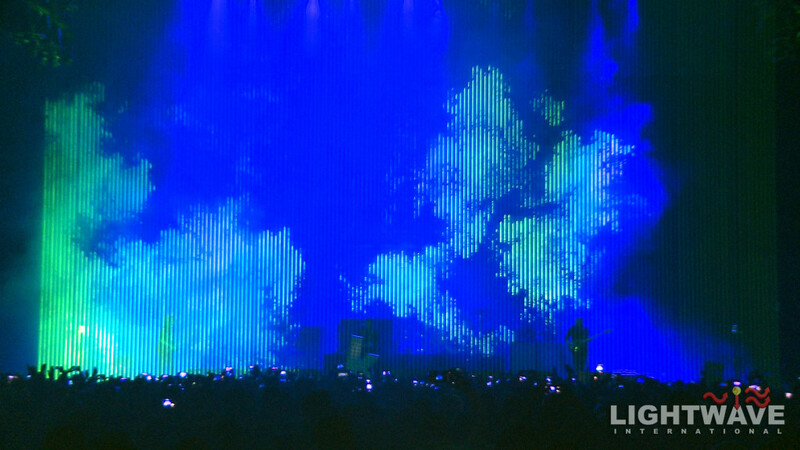 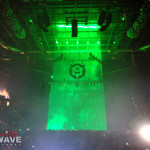 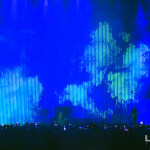 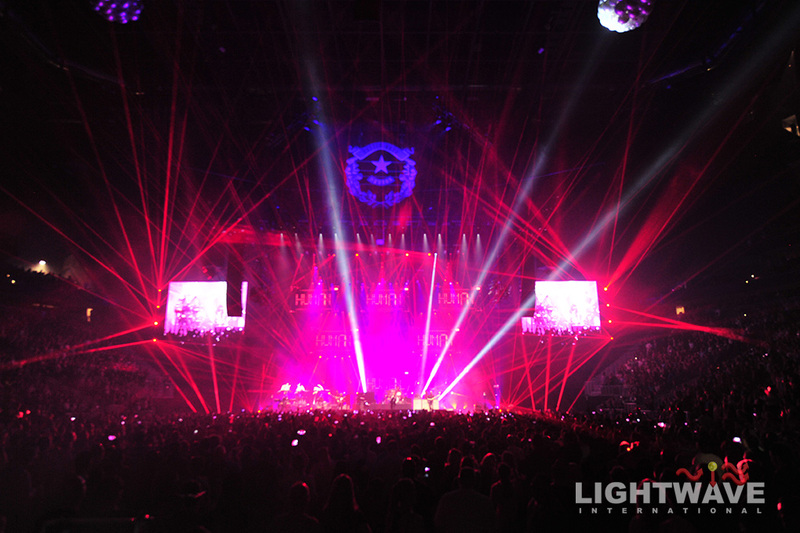 Phenom moving head lasers created soft audience scanning effects and Lixel RGB 40 watt systems ( 260 quantity ) created a massive 120′ tall downstage wall and penetrating mirror beam effects. 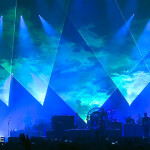 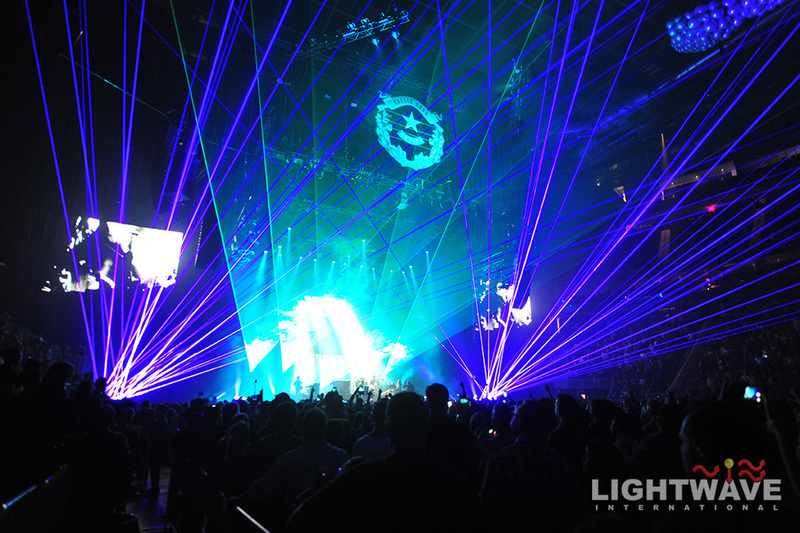 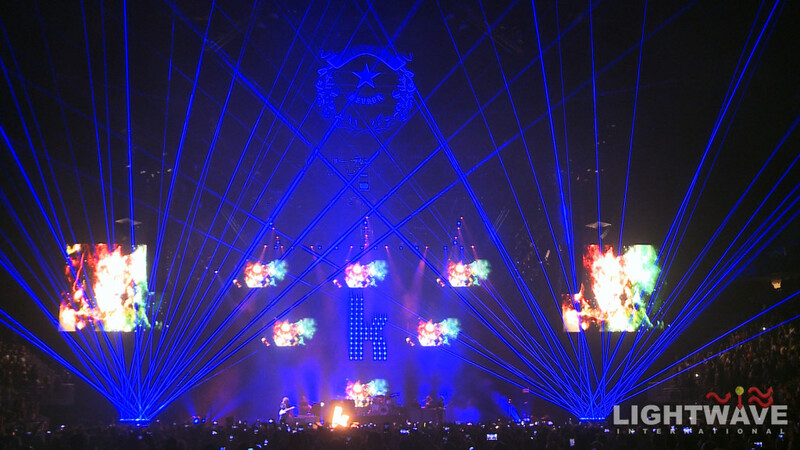 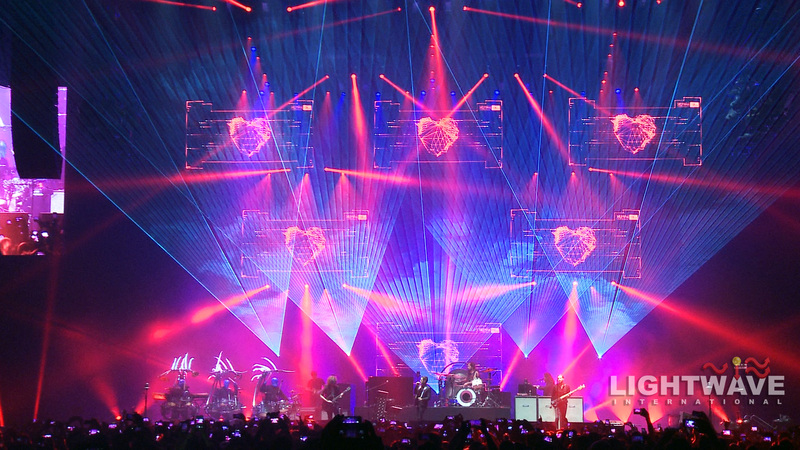 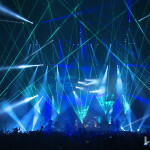 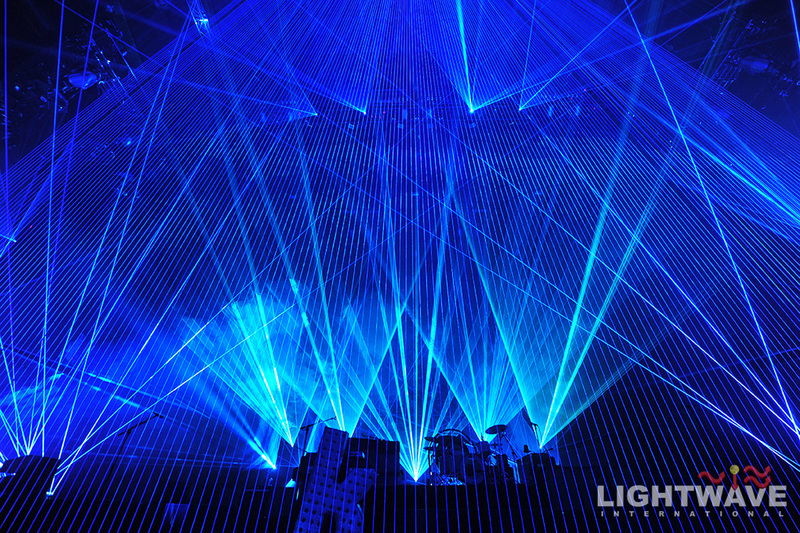 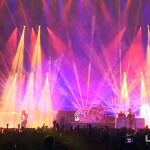 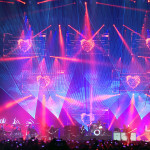 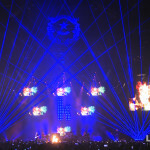 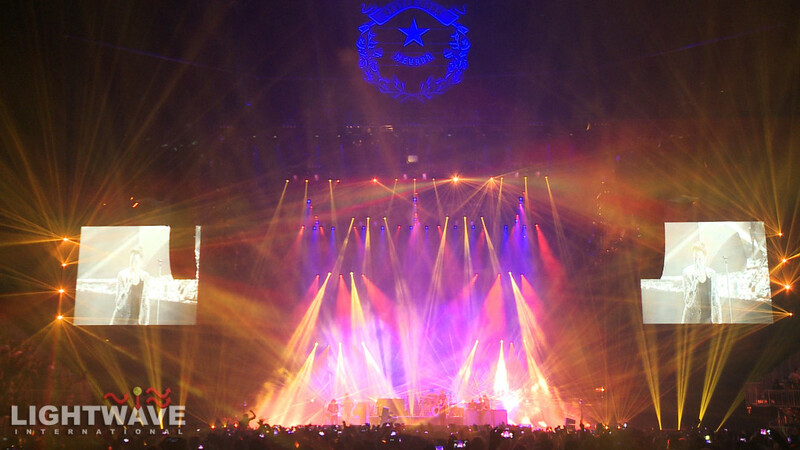 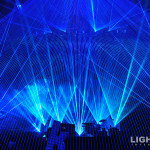 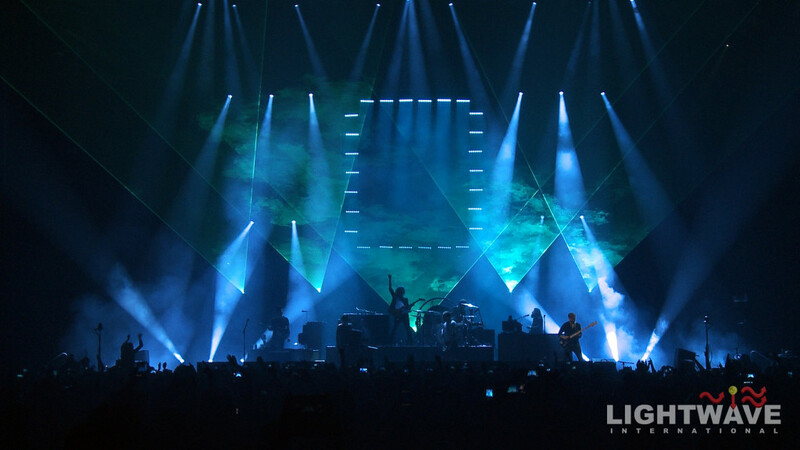 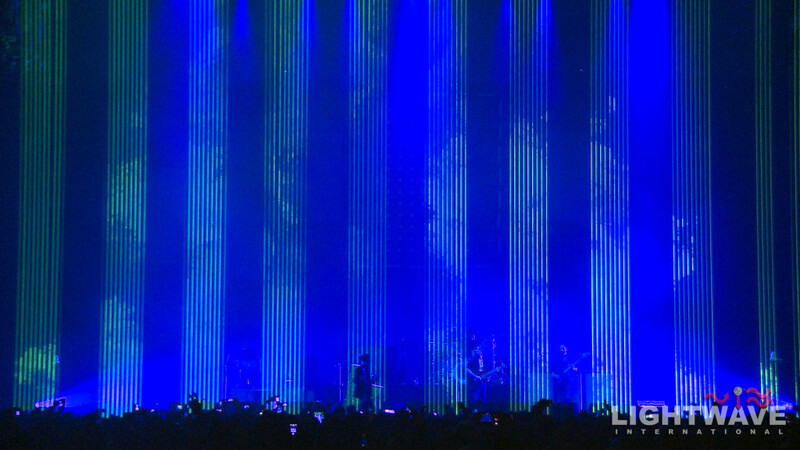 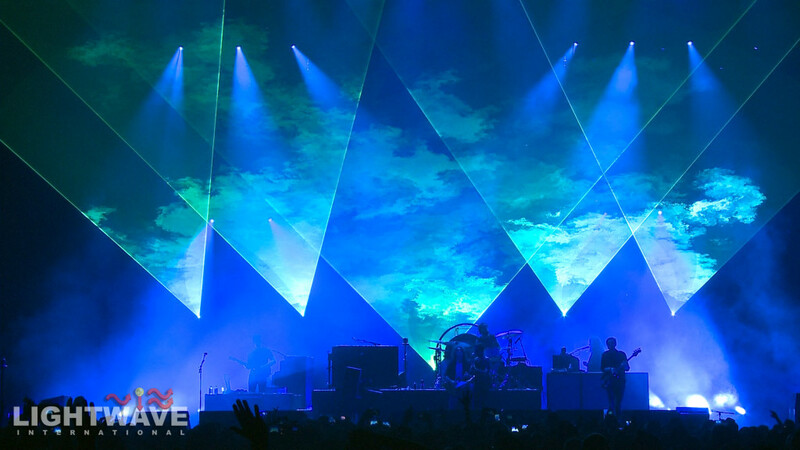 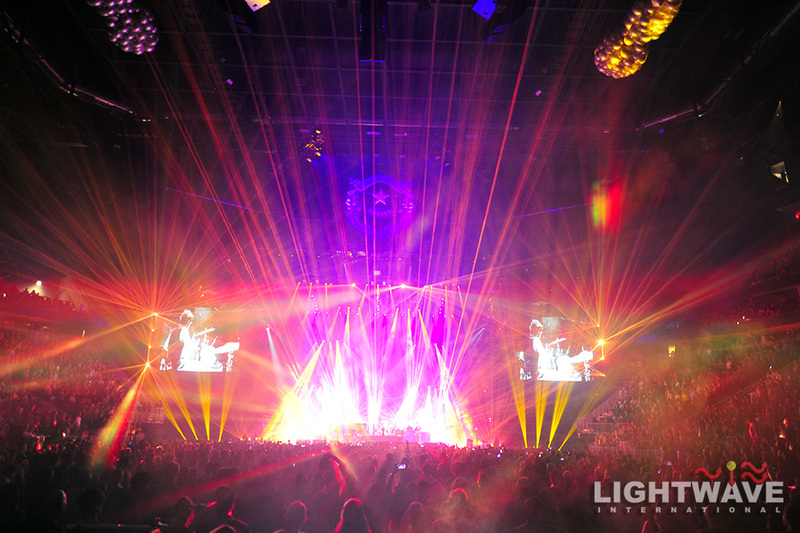 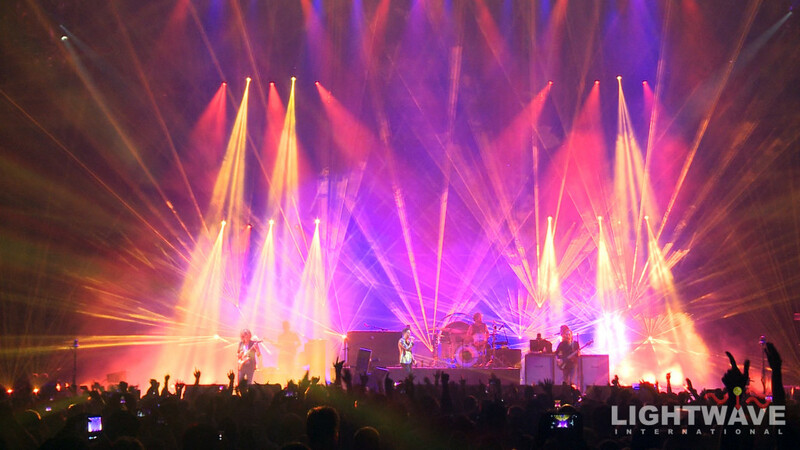 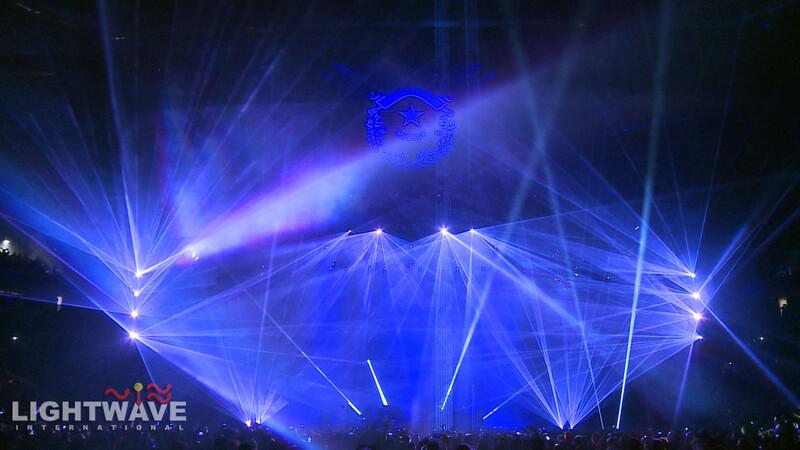 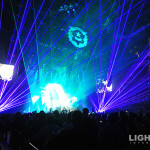 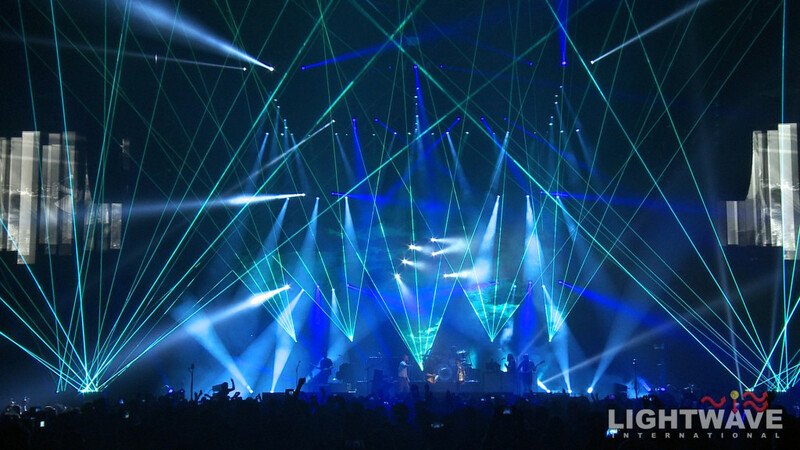 High power RGB Prism Series Lasers created traditional over-audience effects. 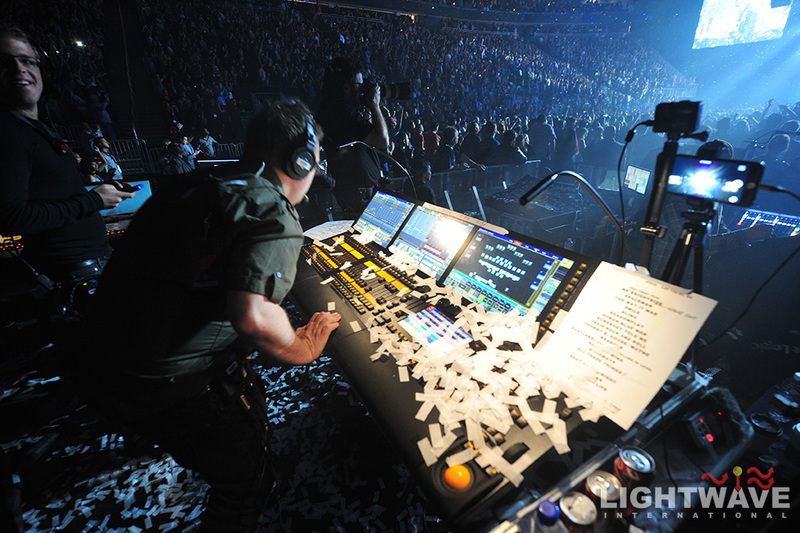 The entire show was programmed and performed by Douglas from his grandMA2 console.